– Made of high quality oxford fabric and cotton fabric,lightweight,durable and very friendly to interior goods. – 6 plus,iPhone 6S(without case);Samsung Galaxy Note 2/Note 3/Note 4(without case). – With carabiner,belt loop and removable shoulder strap,very easy to carry,you can use it when shopping,hiking,running,fishing and even climbing. 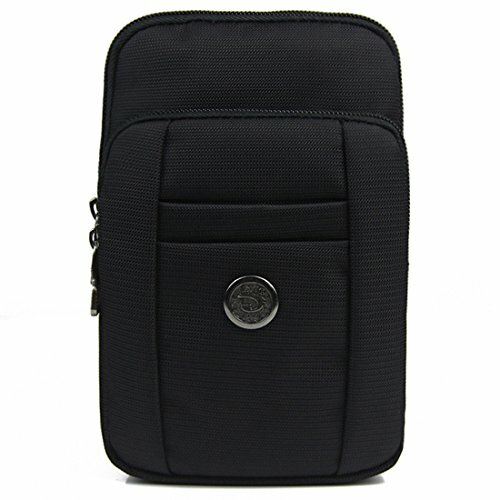 – Compact design,tiny but has a large capacity,also compatible with GPS device,digital camera,medical supplies,external battery pack,cigarette,keychain etc.